Your CTR. Or, better known as your Click Through Rate. Let’s talk about this in simple terms so you walk away with a better understanding of what you should be looking for. For starters, your CTR is determined by the ratio of ad clicks to the amount of impressions you received. You know what it stands for now but do you know how exactly it should factor into your decision making process? 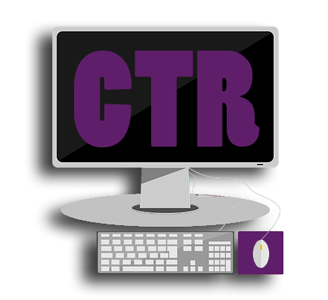 If you have a poor CTR, you know that you need to implement changes into your strategy to improve. A poor CTR is going to reek havoc on your numbers and drag your quality rankings down. When the ads that are being displayed have a poor CTR, the different algorithms will begin to identify the content as irrelevant to viewers and searchers. But how in the world do you determine if you have a good or a bad CTR? According to Google, the average click through rate for PPC (what you pay per click) ads is 2%. Naturally, that may seem fairly low and you may identify that as being a bad CTR if you are not informed (but now you are!). Furthermore, anything over 2% is considered above average. The best advice I can offer you is to do your research. CTR is going to vary by industry so the average Google CTR that is displayed in this blog post may not necessarily be the best number for you to look at, but it offers you a starting point. Knowing your industry standards and averages will help you to eliminate unnecessary spending. So, if you were a chef and social media was your kitchen, you would constantly be trying to trim the fat to get the best and most delicious product out on the table. After you get the hang of your click through rate, perhaps it is time to move on to understanding your conversions and measuring the two together to make sure your campaign is achieving the goals that you have set.